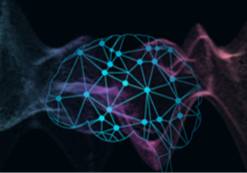 After presenting in two previous posts ( post 1, post 2) the factors that have contributed to unleashing the potential of Artificial Intelligence and related technologies as Deep Learning, now is time to start to review the basic concepts of neural networks. In the same way that when you start programming in a new language there is a tradition of doing it with a Hello World print, in Deep Learning you start by creating a recognition model of handwritten numbers. Through this example, this post will present some basic concepts of neural networks, reducing theoretical concepts as much as possible, with the aim of offering the reader a global view of a specific case to facilitate the reading of the subsequent posts where different topics in the area will be dealt with in more detail. In this section, we introduce the data we will use for our first example of neural networks: the MNIST dataset, which contains images of handwritten digits. The MNIST dataset, which can be downloaded from The MNIST databasepage, is made up of images of hand-made digits. 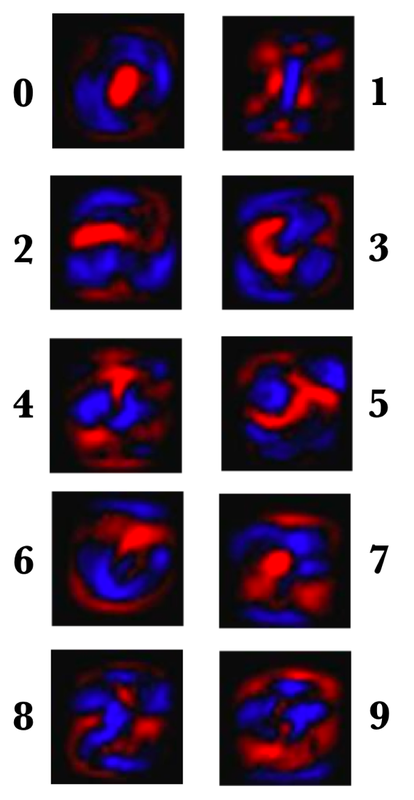 This dataset contains 60,000 elements to train the model and 10,000 additional elements to test it, and it is ideal for entering pattern recognition techniques for the first time without having to spend much time preprocessing and formatting data, both very important and expensive steps in the analysis of data and of special complexity when working with images; this dataset only requires small changes that we will comment on below. Furthermore, the dataset has a label for each of the images that indicates what digit it represents, being, therefore, a supervised learning which we will discuss in this chapter. On the other hand, remember that we have the labels, which in our case are numbers between 0 and 9 that indicate which digit the image represents, that is, to which class it is associated. 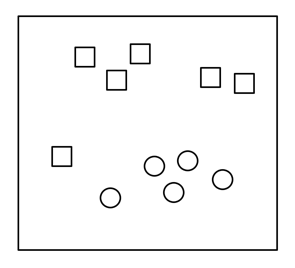 In this example, we will represent each label with a vector of 10 positions, where the position corresponding to the digit that represents the image contains a 1 and the rest contains 0s. This process of transforming the labels into a vector of as many zeros as the number of different labels, and putting a 1 in the index corresponding to the label, is known as one-hot encoding. Before moving forward, a brief intuitive explanation of how a single neuron works to fulfill its purpose of learning from the training dataset can be helpful for the reader. Let’s look at a very simple example to illustrate how an artificial neuron can learn. 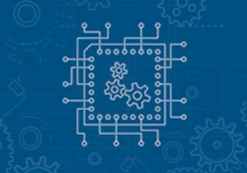 Based on what has been explained in the previous chapter, let us make a brief reminder about classic Machine Learning regression and classification algorithms since they are the starting point of our Deep Learning explanations. We could say that regression algorithms model the relationship between different input variables (features) using a measure of error, the loss, which will be minimized in an iterative process in order to make predictions “as accurate as possible”. We will talk about two types: logistic regression and linear regression. The main difference between logistic and linear regression is in the type of output of the models; when our output is discrete, we talk about logistic regression, and when the output is continuous we talk about linear regression. 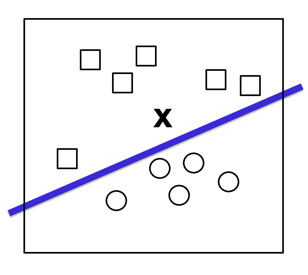 Following the definitions introduced in the first chapter, logistic regression is an algorithm with supervised learning and is used to classify. The example that we will use next, which consists of identifying which class each input example belongs to by assigning a discrete value of type 0 or 1, is a binary classification. To classify input elements X, which in our case are two-dimensional, we must learn a vector of weight W of the same dimension as the input vectors, that is, the vector (w1, w2) and a b bias. Finally, let me help the reader to intuit how this neuron can learn the weights W and the biases b from the input data that we already have labeled as “squares” or “circles” (in chapter 4 we will present how this process is done in a more formal way). 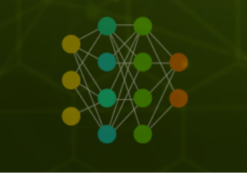 But before moving forward with the example, we will briefly introduce the form that neural networks usually take when they are constructed from perceptrons like the one we have just presented. As we will present in chapter 4, there are several activation functions in addition to the sigmoid, each with different properties. 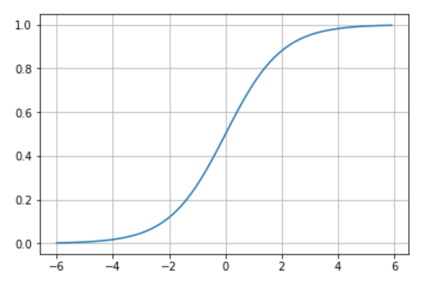 One of them is the one we just mentioned, the softmax activation function, which will be useful to present an example of a simple neural network to classify in more than two classes. For the moment we can consider the softmax function as a generalization of the sigmoid function that allows us to classify more than two classes. We will solve the problem in a way that, given an input image, we will obtain the probabilities that it is each of the 10 possible digits. In this way, we will have a model that, for example, could predict a nine in an image, but only being sure in 80% that it is a nine. Due to the stroke of the bottom of the number in this image, it seems that it could become an eight in a 5% chance and it could even give a certain probability to any other number. Although in this particular case we will consider that the prediction of our model is a nine since it is the one with the highest probability, this approach of using a probability distribution can give us a better idea of how confident we are of our prediction. This is good in this case, where the numbers are made by hand, and surely in many of them, we cannot recognize the digits with 100% certainty. Therefore, for this example of MNIST classification we will obtain, for each input example, an output vector with the probability distribution over a set of mutually exclusive labels. That is, a vector of 10 probabilities each corresponding to a digit and also the sum of all these 10 probabilities results in the value of 1 (the probabilities will be expressed between 0 and 1). 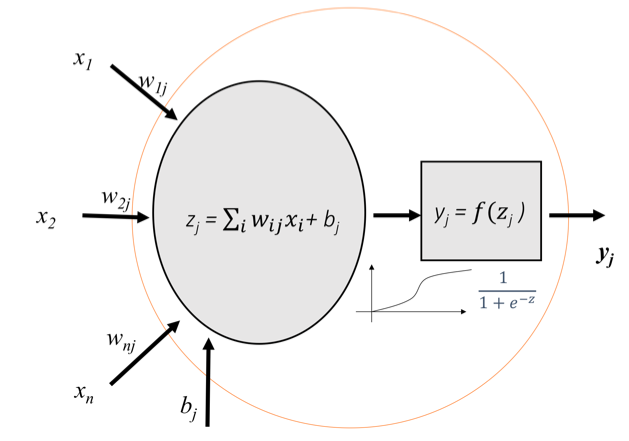 As we have already advanced, this is achieved through the use of an output layer in our neural network with the softmax activation function, in which each neuron in this softmax layer depends on the outputs of all the other neurons in the layer, since that the sum of the output of all of them must be 1. But how does the softmax activation function work? The softmax function is based on calculating “the evidence” that a certain image belongs to a particular class and then these evidences are converted into probabilities that it belongs to each of the possible classes. An approach to measure the evidence that a certain image belongs to a particular class is to make a weighted sum of the evidence of belonging to each of its pixels to that class. To explain the idea I will use a visual example. In this case, with a matrix of 28×28 pixels, where the pixels in red (in the white/black edition of the book is the lightest gray) represent negative weights (i.e., reduce the evidence that it belongs), while that the pixels in blue (in the black/white edition of the book is the darkest gray) represent positive weights (the evidence of which is greater increases). The black color represents the neutral value. Let’s imagine that we trace a zero over it. 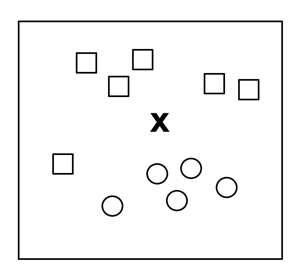 In general, the trace of our zero would fall on the blue zone (remember that we are talking about images that have been normalized to 20×20 pixels and later centered on a 28×28 image). 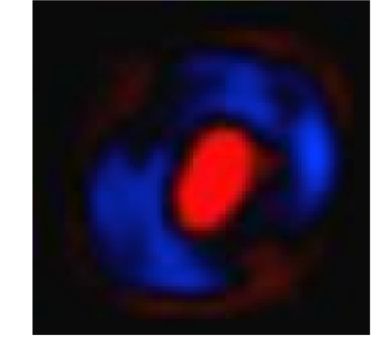 It is quite evident that if our stroke goes over the red zone, it is most likely that we are not writing a zero; therefore, using a metric based on adding if we pass through the blue zone and subtracting if we pass through the red zone seems reasonable. 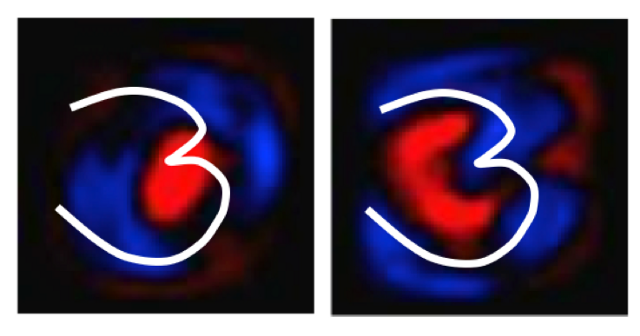 But on the other hand, if the reference model is the one corresponding to number 3 as shown in the right part of the previous figure, we can see that, in general, the different possible traces that represent a three are mostly maintained in the blue zone. I hope that the reader, seeing this visual example, already intuits how the approximation of the weights indicated above allows us to estimate what number it is. The previous figure shows the weights of a concrete model example learned for each of these ten MNIST classes. Remember that we have chosen red (lighter gray in black and white book edition) in this visual representation for negative weights, while we will use blue to represent positives. Intuitively, the effect obtained with the use of exponentials is that one more unit of evidence has a multiplier effect and one unit less has the inverse effect. The interesting thing about this function is that a good prediction will have a single entry in the vector with a value close to 1, while the remaining entries will be close to 0. In a weak prediction, there will be several possible labels, which will have more or less the same probability. 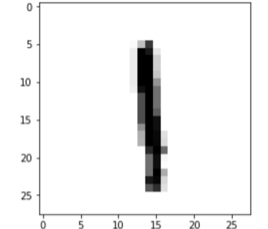 The MNIST database of handwritten digits. [en línea]. Available at: http://yann.lecun.com/exdb/mnist [Consulta: 24/02/2017]. Wikipedia, (2016). Antialiasing [en línea]. Available at: https://es.wikipedia.org/wiki/Antialiasing [Visited: 9/01/2016]. Wikipedia, (2018). Sigmoid function [en línea]. Available at: https://en.wikipedia.org/wiki/Sigmoid_function [Visited: 2/03/2018]. Wikipedia, (2018). Softmax function [en línea]. Available at: https://en.wikipedia.org/wiki/Softmax_function [Visited: 22/02/2018]. TensorFlow, (2016) Tutorial MNIST beginners. [en línea]. Available at: https://www.tensorflow.org/versions/r0.12/tutorials/mnist/beginners/[Visited: 16/02/2018].